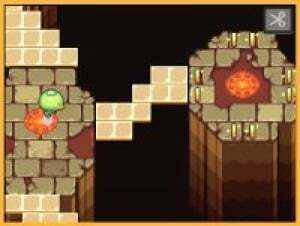 A Kappa’s Trail is a bizarre game: you play as a little turtle/fish/sea creature and your objective is to escape the depths of the ocean to reach the land of the humans, but it’s a clever idea, and plays great in many areas where other DSiWare games seem to do the opposite. It’s a really neat and tidy game with great visuals and catchy music and even though the game can be very difficult in early portions, the overall product is a decent venture. When you open up A Kappa’s Trail for the first time you’ll immediately notice the strange way the game is presented. The ocean is your hub-world and from there you can either play some neat little mini-games or go on your adventure. At first you may not understand what to do, finding yourself getting confused pretty quickly and you may have to view the instruction booklet more than once. Once you actually get into the main quest or the mini-games you’ll find yourself having lots of fun. The top screen projects the map while the bottom screen shows you the action, and drawing a line on the touch screen will cause your Kappa to follow it. Having your Kappa manoeuvre over dots on the map will spring baby Kappas that will either make bridges for you to cross or sometimes give you goodies like coins and health. Once you get to a certain distance a devil-like hand will follow you and, if it catches up to you, you must start the map over. Each stage is pretty lengthy and getting from the bottom to the top of the map without dying or getting caught by the hand wins the stage. It's a simple formula and can be really fun at times, but even the first batch of levels can get complicated and this is where a nice tutorial would’ve helped. Sometimes you must tap a light switch to brighten the map up and it will slowly dim over time; other times you have to walk over switches to move a bridge. These are neat gameplay elements but the game does a poor job at explaining them to you. Once you get the hang of the controls you could still potentially have a fumbling time with them. The screen doesn’t follow your path, so holding and dragging the screen is the only way to move it. This becomes frustrating when you accidentally touch your Kappa’s line of movement and send it off a cliff: a D-Pad camera control option (or the face buttons for left-handed people) would’ve been a major help. You also have to tap items like boulders, balloons or fireballs to make them disappear, but the game sometimes thinks you're trying to move the camera. In tight situations, like boss battles, this can be irritating. Luckily though A Kappa’s Trail is only 500 Points so you get plenty of game for your money. The single player is decent and some of the minigames are quite clever too: one has you controlling you Kappa through a continually falling floor. Walking over every number on the floor with trigger the end tile you must try to reach before you fall to your death. You can also collect paintings and cassettes to add to your Kappa’s collection, but unfortunately there’s no leaderboard support for comparing scores, and no multiplayer. Ultimately the audio-visual presentation sews A Kappa’s Trail together in a really nice way. 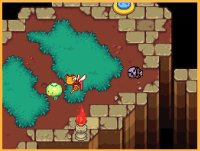 The cute, colourful visuals enhance the game’s simple look and the catchy, cheery tunes round out the decent soundtrack. It all runs smoothly and never has any sort of bugs or glitches that ruin the experience. If you’re looking for an affordable, well put-together game with a decent amount of enjoyment, try out A Kappa’s Trail. It has many really difficult stages pretty early on which could turn some people off, but looking past this is easy if you’re a sucker for cute, colourful visuals, catchy soundtracks and fun, clever gameplay. Not only is it a pretty good deal for only 500 Points, but it packs a lot of content worth well over the price. Yeah, nice review. I love the game, but recognize your complaints as valid and find your score justified. Great review for a great game. I really think this deserves AT LEAST an 8/10, though. A little trivia: Not sure if this is in the western version, but there is an octopus in the Japanese version that is from Mother 3! Interesting. I should probably check dis out. 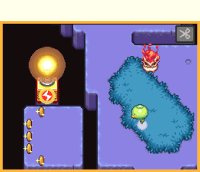 @Adam There was also something about the Pigmasks making a cameo in this game in an earthboundcentral.com article. I need to get this, because it was made by the same people who made Mother 3.
hmm.. just might have to gave this game a go. Does anyone else thinks this looks a little like M&L:BIS graphically? Great price and a lot of fun. Something to play between all the E3 crazy. @11.Bobpie: A little. It also, appropriatly, looks a bit like Mother 3. Reminds me of Kapp'n from Animal Crossing. XD First thing I thought of when I saw Kappa lol. 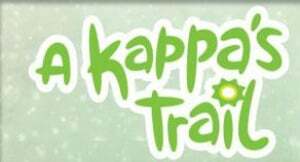 In japan Kapp'n is known as a kappa, and brings people to their next destination Like the kappa trying to go to the human world. This game is touching, interesting and fun. As Brownie Brown games like to do. I do agree with the reviewer about everything (BTW nice review) this should be a seven. This game definitely should have gotten an 8 maybe a 9. This is still one of the best downloadable games out there even 3 years later. I hope they make a sequel someday.